It is a pity to witness an improperly disposed unwanted car. It is unsightly to see this situation in a public place amongst nature. 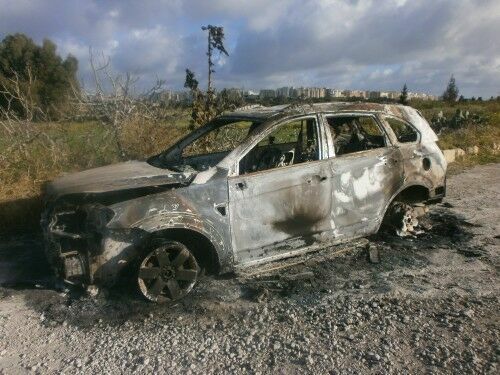 On top of this, the car is burnt which means that various poisonous substances have been released in the air and the land around it. The action taken by thoughtless humans beings destroyed the beauty of the countryside and will definitely have an effect on the ecosystem of the region. Pollution is a very serious problem which is one of the main causes for health issues such as asthma. There are many junk yards where this car could have been so as to avoid hazards. We are all responsible for our environment and we should all do our part to recycle and dispose of unwanted belongings accordingly.